Downloading files has surely become the most important part of surfing the internet; it is more or less like our hobby. Thousands of files with different size and format are downloaded by us from various sources of web. If we choose to download files from our browser we encounter slow speeds, unfinished downloads, no resume etc. ; this leads us to take help from tools called Download Managers. Here we are going to talk about the best available download manager till date which is called Internet Download Manager. It is a shareware which means you need to buy it to keep using it, but if you download often and can afford to pay for the license, every penny is worth what you paid. 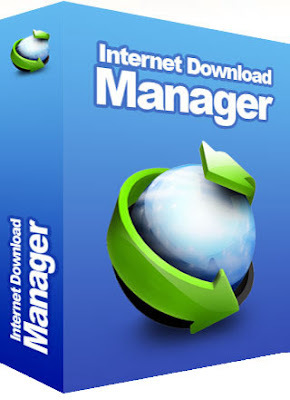 Internet Download Manager (IDM) is a download manager that features an adaptive download logic accelerator; dynamic file segmentation and multi-part download technology to squeeze as much speed out of your connection as possible. IDM supports firewalls, proxy and mirror servers, FTP and HTTP protocols, redirects, cookies, download queues, user authorization, as well as music and video downloads. I really like the way this program handles downloads, but the most important is the great speed. Sometimes it's even more than five times faster like the producer claims it to be. The interface is nice and clean, and gives you good control over the program's features. I do not consider this software have many negative sides. I would really like it if the site grabber would be able to relink the downloaded pages, so that offline browsing could be easier. Also, when minimized, the progress window only shows the download progress when you click it: a mouse over effect would be appreciated. But we're getting too much into details here, and these are only minor issues. Overall I would like to say Internet Download Manager is very influential and offers numerous features. You would surely enjoy using the enhanced downloading experience with it. Though there are minor flaws which can be found on other freeware alternatives but they can be ignored. Finally, IDM can be described as a good product and for those who would prefer using IDM after the 30 day trial period the good news is that the program is not greedy at all and buying a license is not really expensive.